The NHL Expansion Draft and 2017 NHL Entry Draft are in the books, which means attention shifts to July 1 and the impending free agent frenzy. There are some compelling names expected to be in the works when the fur starts to fly, including a number of valuable centres. Joe Thornton is one of the biggest names on the list. The San Jose Sharks centre will turn 38 on Sunday, but he’s still got enough value to draw some interest. He spent the last 11 and a half seasons in San Jose and could land with the Sharks again if an offer is tendered, but there’s a considerable amount of chatter around him hitting the open market. A club looking for a veteran presence could roll the dice on Thornton, which sets up a lot of possibilities. The Vegas Golden Knights can’t be ruled out, especially if they want to anchor a top set of lines with a forward who can still dish the puck with the best of them. 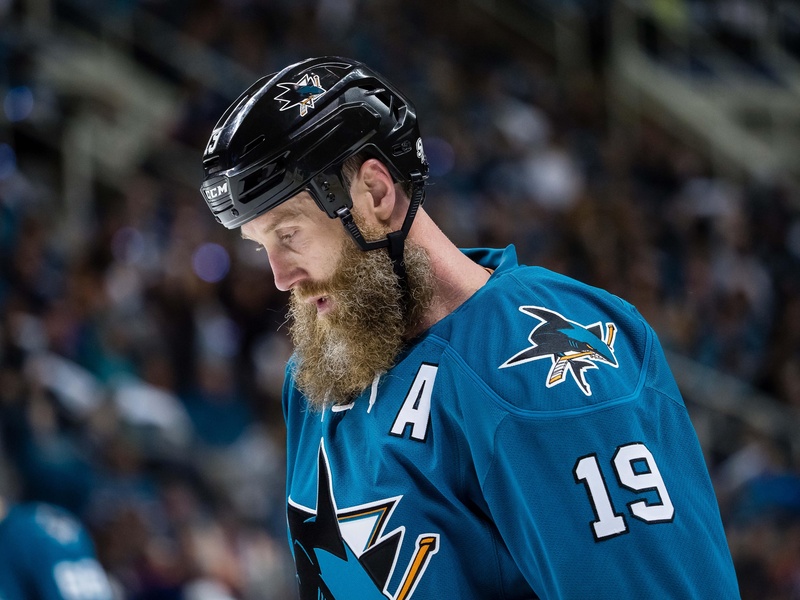 Thornton and his teammate Patrick Marleau are ostensibly receiving interest around the league, so change could be in the air shortly. Brian Boyle is also in the running. An experience playoff performer, the 32-year-old centre can win faceoffs and could see a spot as a decent role play. Word around the campfire is that he’s very interested in returning to the Tampa Bay Lightning, where he saw the Stanley Cup Final in 2015. 29-year-old Nick Bonino won two straight Stanley Cups with the Pittsburgh Penguins. He’s been a solid role player, taking defensive zone starts with designs on relieving pressure on Pittsburgh’s top lines, but it may be time for him to move on. The Penguins may have an interest, but Bonino would see more ice time and a greater role on almost any other team. He’s young for an unrestricted free agent, which should mean he sees a few persuasive offers. Martin Hanzal is another available centre. He’s a solid two-way pivot and may not put up major points, but he has an enormous reach and is a lanky forward. He’s also adept in the dot, winning 56.3 percent of his faceoffs over the past three seasons. The 30-year-old could land in some interesting places, including with the New York Rangers. Nashville Predators centre Mike Fisher is another big name on the list of UFA centres, but he may not be returning to the NHL next season. He has 17 seasons in the league under his belt and got close to hockey’s ultimate prize this season, so the hunger could still be there. As of now, he’s talking over his options with Nashville’s management. But he could test the waters come July 1. There are some other interesting names out there in terms of NHL centres, like Sam Gagner, but the abovementioned group should fetch some serious interest from those clubs looking for some depth down the middle.